Release date: October 11th, 2018. 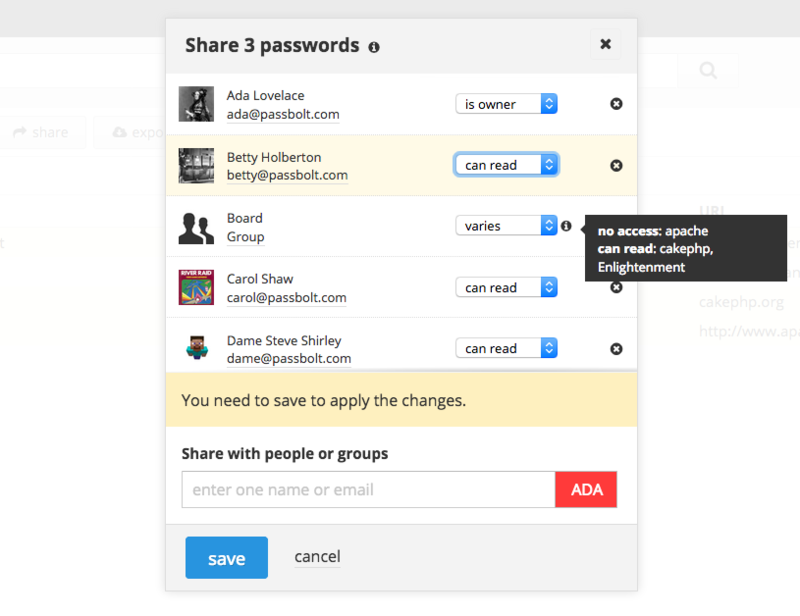 This release introduce the ability for users to select multiple passwords and perform a bulk action such as delete or share. This was a much awaited productivity feature requested on the community forum and is available for both pro and community edition. You can use the keyboard keys (command and shift) to select a few items at once. Community Edition users will also be pleased to know that the “remember me” feature that was available in the Pro Edition is now available to everybody. This release as usual fixes a few small issues, the most notable one being able to transfer resource ownerships when deleting a group that is the sole owner of some passwords. A special thanks to this release contributors, who reported bugs or submitted pull requests, keep them coming! "With so many light years to go and things to be found"